1. A cup holder garbage can so you can properly dispose of your straw wrappers while you're piloting the ship. OR you can use it as an ash tray! 2. An air mattress set — it'll make sleeping in your vehicle a little comfier on a camping trip after you heard a howl and want something thicker between you and that animal than a thin tent wall. I just recently learned that car air mattresses are a thing! Includes mattress and two pillows. 3. A grocery bag carrier to help you make a few less trips back and forth from the car to the house. 4. Reusable tote bags made to fit in your grocery cart so grouping frozen food or pantry staples together will be no sweat. 5. 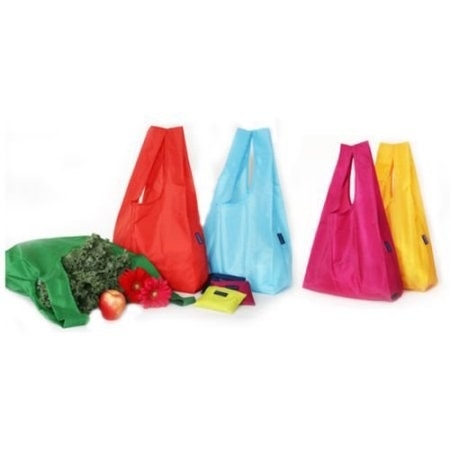 A set of six reusable grocery bags you can divvy up amongst your family's vehicles, even for the folks whom NEVER pitch in when it comes to shopping. Perhaps fate will cruelly laugh in their face for once. The polyester material is mildly waterproof, dirt-proof, and wear-resistant. Each has a reinforced bottom and long, rip-resistant handles. 6. 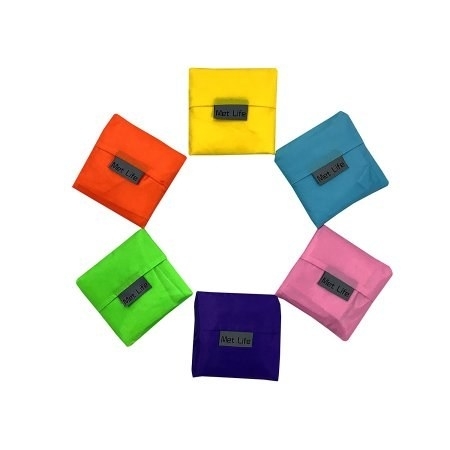 A pair of car seat organizers with a pocket for most everything you'd need to keep with you. Also check out an organizer with an iPad watching pocket. 7. A rain poncho to use over and over again — not one of those flimsy numbers you can maybe get only one day. 8. An emergency weather radio, so you won't end up like Paul Sheldon while you're traveling to your winter writing retreat. This handheld radio provides reliable access to emergency information thanks to an IC chip that helps deliver clear, crisp audio for all seven NOAA weather band channels and local AM/FM radio stations. It has a bright LED flashlight and LED alerts with rapid blinking, while a blue backlight LCD changes to red during weather alerts. It runs on 3 AAA batteries (not included). 9. A dash duster because you may spend what feels like most of your free time in your car, but it shouldn't *look* like it. 10. A car document organizer that won't be the prettiest thing in your car, but you'll be so glad it's tucked into your glove box for when you need to grab your insurance STAT. 11. A solar panel external battery charger in case you need to call AAA, or whoever else is your emergency contact, when your car battery *and* phone battery are dunzo. Has dual USB ports to power two gadgets simultaneously. You can plug in the USB charging cable or expose it under a light source. Lightweight and palm-sized design. 12. A roll of duct tape to lend a hand in ~sticky~ situations, like when that lumber you picked up from the home center threatens to rattle around in your truck bed. 13. A container of stormproof matches that are NATO-approved and won't go out on you because of a strong gust. 14. An 8-in-1 multitool for making tasks like cutting a length of twine to secure that extra bag you had to bring on the road trip to your roof luggage rack. Does the job of a hammer, pliers, Phillips-head screwdriver, flat-head screwdriver, bottle opener, 2-inch serrated blade, 2.5-inch flat blade, and nail file. Includes a carrying case with belt loop. 15. A pack of post-workout wipes in case going to far-flung boutique exercises is your favorite — or you're just a sweaty person in general. 16. A seat gap filler — you know you haven't been able to stop thinking about how it could help you salvage a few fries after you saw it on Shark Tank. 17. A 5-in-1 emergency tool that moonlights as a keychain, so it'll be way easier to find than that hammer thing wedged in the back of your glove box because you (thankfully) haven't had to use it to cut off your seat belt. Includes an automatic glass breaker, safety-blade seat belt cutter, sonic alarm, flashing red distress light, and bright white LED flashlight. 18. A compact first-aid kit that'll have your back when it seems like that tiny paper cut just won't stop bleeding. Includes 20 adhesive plastic bandages, 15 fabric bandages, 2 knuckle fabric bandages, 2 fingertip fabric bandages, 2 elbow and knee plastic bandages, 10 junior plastic bandages, 2 butterfly wound closures, 6 gauze dressing pads, 1 trauma pad, 1 conforming gauze roll bandage, 2 aspirin tablets, 2 ibuprofen tablets, 2 extra-strength nonaspirin tablets, 6 alcohol cleansing pads, 6 antiseptic cleansing wipes, 2 antibiotic ointment packs, 2 insect sting relief pads, 2 first aid/burn cream packs, 1 lip ointment pack, 1 moleskin square, 1 finger splint, 1 safety pin, 10 cotton swabs, 1 pair of nickel-plated scissors, 1 pair of plastic tweezers, 2 vinyl gloves, and 1 first-aid guide. 19. A stain-removing pen, so your coworkers won't know that your "dentist appointment" was really you just sitting in the McDonald's parking lot blasting music and eating a sloppy, satisfying cheeseburger. 20. A foldable car trunk organizer to keep groceries and other miscellaneous items from rolling around precariously as you take some ~dangerous~ curves in the cul-de-sac. 21. And a no-slip bin in case you have WAY less trunk space. 22. A magnetic phone mount, so you can avoid feeling lost without illegally using your phone as you drive. Safety first! 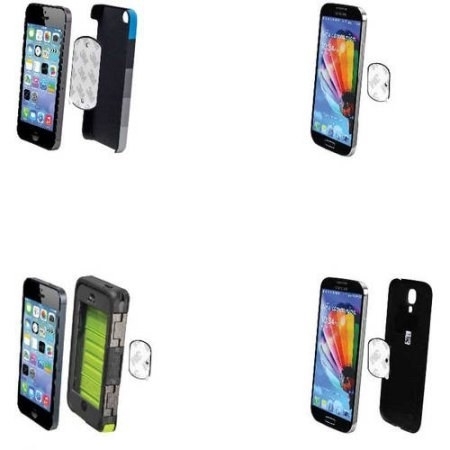 Universal mount for smartphones, MP3 players, and GPS devices. 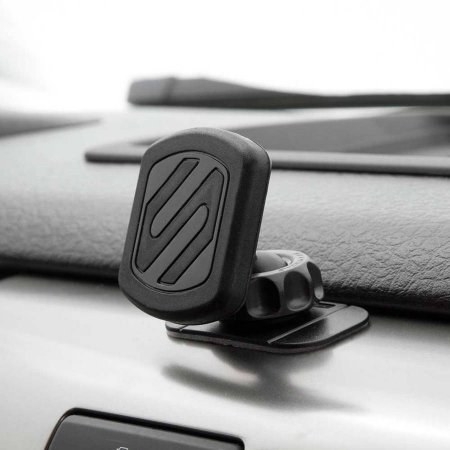 Uses adhesive backing to mount to your car dash with two magnetic plates (small and large). Adjustable, cradle-free design, and heat and cold resistant. 23. A jumbo pack of instant hand warmers ready to help keep you toasty in case your heat goes out. Includes 10 pairs. They're ready to use and air activated, so you won't have to wait around for what feels like an eternity for your paws to de-thaw. 24. A collapsible waterproof trash can my Uncle Bill could use for his messy SUV. JK Uncle Bill needs a regular-size trash can. 25. A large-scale road atlas, because your map app won't always work while you're out on the road. 26. An emergency blanket built for two in case you need to huddle together for actual warmth. 27. A cupholder organizer to help put the drinkless one to peak use without rattling around your phone. 28. Or a cupholder addition you can nestle in between seats if your existing sitch is no longer cutting it. 29. And some individually wrapped Wet Ones to replace the millionth container of uncapped, dried-out towelettes.